Our favorite homemade ingredient is probably Ginger Syrup. It's easy to make, it lasts a long time in the refrigerator, and you can make a variety of soft drinks and delicious cocktails with it. While some folks like to have bottles of top-quality ginger beer around, we find it much more convenient and versatile to have the syrup. We combine it with lime and carbonated water when we want some. The beauty of this concept is that the components have other uses and you probably already have them around. If you are not familiar with Ginger Beer, perhaps you've heard of Ginger Ale. It's not the same thing. They are both soft drinks flavored with ginger, but the lightly-flavored soda that is ginger ale lacks the intensity of good ginger beer. Ginger beer often packs a wallop—the strong ginger flavor has a slight burn on the tongue just like freshly cut ginger root. Tangy lime helps round out the flavor and carbonated water provides the fizz. Of course, you can buy ginger beer—there are several brands out there that do a good job of capturing the fresh flavor and character of ginger and lime—but nothing compares to the stuff you can make yourself. When we first started making ginger syrup, we followed a fairly easy recipe that appeared in Imbibe Magazine. It involves chopping up a bunch of ginger root in a food processor and cooking it on the stovetop with water and sugar. The result is a wonderful syrup with a delicious and powerful ginger taste. However, we recently started using an even easier method that completely avoids the stove and the hours of simmering, straining and cleanup. Others have said, and we agree, that this version below tastes sharper and fresher, and while both make excellent ginger beer, the time and effort spent over the stove and on cleanup makes the easier method here the better one. It also retains a more of a yellow color instead of a caramel brown. Bet of all, the heat of the ginger seems to last a lot longer. Pour the sugar and the ginger juice into a sealable jar, seal the lid and shake until the sugar is dissolved. Pour the syrup into a bottle for storage and use. Store in the refrigerator. Top with a few ounces of vodka if not serving to minors to extend shelf life. Can it really be that simple? Well, obtaining fresh ginger juice may be a challenge. If you own a juicing machine or extractor—the kind that separates the pulp—you won't have any problems at all. Just toss in fresh ginger root and use the juice it creates. But if you are like us, you never believed the Juice Man's pitch when you saw his infomercial, so you never bought the expensive appliance. So, now what? We have heard that Whole Foods will use their equipment to extract fresh ginger juice for you if you ask nicely as will juice and smoothy bars at health food stores. You may need to explain why you just want ginger—say please over and over, or give them a nice tip. You could even promise to bring them a cocktail! For fresh juice there is one more option: make it yourself using a food processor or a blender. We make our own fresh ginger juice by pusling ginger through a mini Cuisinart or a good blender. You must add a small amount of water to keep it going and then extract the juice by hand using cheesecloth or a muslin bag from a home-brew shop. To do this, dump the puree onto your cheesecloth over a plate or bowl. Wrap the pulp in the cheesecloth and squeeze out the juice. These steps do require a bit more time and cleanup, but it's a lot easier than cooking something on the stove. As a last resort, you could use a product called Ginger People Ginger Juice which comes in a 5 ounce bottle. Some folks say they have had good luck making syrup with it. So, now that you have your ginger syrup it's finally time to drink it! The easiest thing to make is ginger beer. To do it, you need a lime and some carbonated water. We use a soda siphon that we always have on hand in the refrigerator, but any club soda or sparkling mineral water will do. Fill an ice-filled glass a third of the way with ginger syrup, top with soda water and a squeeze of lime juice. Enjoy. And, what about cocktails? The quintessential ginger cocktail is the Moscow Mule once mentioned in an earlier post. It's a wonderful drink that kicked off the vodka craze of the 1950s. However, now that you are using syrup, here's a more appropriate recipe for it. The drink is best served in genuine antique copper mugs. Click here to see if any are available in the Antique/Vintage Store. Build in an ice-filled highball glass or copper mug. Add the vodka, fresh lime juice and ginger syrup. Top with soda water. Stir to mix and serve. If vodka isn't your poison, what about rum? This version of the Dark and Stormy is a wonderful way to enjoy the famous cocktail from Bermuda that is sure to please anyone. This drink is traditionally made by mixing Gosling's Black Seal Rum with ginger beer, but we like the look of floating the dark rum over the top and watching it swirl and mix into the drink like dark and ominous storm clouds on the horizon. 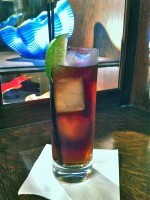 Add the amber rum, ginger syrup and fresh lime juice to a mixing glass. Fill with ice and shake to chill. 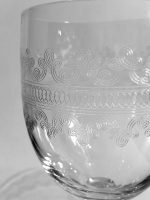 Strain into an ice-filled collins glass, top with soda water and float .5 ounce of dark rum such as Cruzan Black Strap or Gosling's Black Seal. Ginger syrup is versatile and convenient. You can try it in anything that calls for simple syrup to create a unique twist on an old favorite. For recipes that call for ginger beer, add one-third syrup, two-thirds soda water and a squeeze of lime to make a much better cocktail than anything out of a bottle. New cocktails are popping up all over that take advantage of ginger flavor. Some use ginger liqueur, but we find that the syrup's intensity easily outperforms the liqueur. You can even use the syrup in food recipes. Adding a little to a stir fry will definitely take it up a notch. You can also add some to hot or iced tea where you might normally use honey. We'd love to hear what you think when you make your own ginger concoctions. Leave a comment or a recipe and let us know what you are drinking. Update: It's been a while since we posted this syrup recipe, and we have never looked back. It's the ginger syrup method we continue to use every time. Summit Sips hasn't made a cooked ginger syrup since. Over the years, we have posted several cocktails that use it and continue to do so. Click Here for everything tagged on Summit Sips with ginger. Holy Crud! I just made my first batch of ginger syrup and it is overpowering. Used it in a grapefruit bourbon sour - 2oz bourbon, 1oz grapefruit, .5 oz ginger syrup. I typically would make a 1:1 simple syrup and then let a bunch of chopped ginger steep for 5-10 minutes for this recipe. First time making it from ginger juice though - unfortunately it doesn't work too well in my bourbon sour drink. John, I am curious, did you make your ginger juice based ginger syrup using a 2:1 rich sugar ratio? If you stuck with the 1:1, that might explain why you ran into trouble with your bourbon drink. At a full .5 ounce, you may have had the right level of sweetness, but because the ginger syrup is so potent, it was too much burn to handle. With 2:1 sugar, you get more sweet and so you can afford to use less, and that might bring the burn under control. Just a thought. You could also simply split your recipe with half ginger syrup and half simple. There's no reason you have to substitute the entire amount. No question, using ginger juice makes for a very flavorful syrup. But that's really the whole point. Not to mention, the ginger flavor tends to stay a lot longer than it does by just infusing simple syrup. I'd love to hear if you can still make your recipe work by altering the proportions or the amount of this syrup. You definite get more flavor for doing so. Also, what kind of bourbon are you using? It might make a difference. No, I used a 2:1 ratio this time with the ginger syrup. And I did actually cut back the amount of syrup I usually use (from .75 to .5). It's just too powerful, even with what I consider a more robust bourbon (Trace, Makers, Bulliet). No worries, I plan on trying some of your other suggestions for the ginger syrup - I think it'll play better in drinks that are cut with some soda water (like the Dark and Stormy / Moscow Mule that you suggest above). My bourbon sour can wait for the time being. (FYI, I live in Atlanta now but I'm a former Carlton College grad - miss the Minnesaota summers, winters not so much.) Thanks for the great work on the website! Thanks again for some great advice. I am now serving house made ginger ale at my bar and in my cocktails!!! People are loving it. Trying to get the portions right though... I used a juicer to juice the ginger and then added an equal part of 1:1 simple syrup and a half part lime juice to create my ginger syrup. For a glass of ginger ale I have a 1:4 ratio of ginger syrup to soda water. It's very tasty but if anyone else has any suggestions, I would love to hear them. I was nervous because I did not steep the ginger with sugar, I simply juiced it and added simple so I didn't know if I would be missing out on any wonderful flavors by taking that short cut. Sounds like what you are doing is working, but it might be more complicated than you need. I don't mix a simple syrup separately at all--too many variables. For instance, you are using water in your 1:1 simple syrup, right? Then you add water again when you add carbonation. Why not simplify the process and add water only once--at the end when you carbonate with soda water? That's the logic behind the "simple" method above. You make a syrup, but the ginger juice is your "water". The sugar will dissolve just fine in straight ginger juice, and think of how flavorful it will be! If it's too strong for your taste, or too sweet at 2 parts sugar 1 part ginger juice, simply use more soda when you make your drink. Call it a super concentrate. As for the lime, I add it per glass. If all you are making is ginger ale and it gets used quickly it probably doesn't matter, but the lime juice is better if added fresh anyway. Besides, this leaves some versatility. Say you want ginger flavor without lime--works like a sub for Domain de Canton only better flavor actually. Anyway, that's my advice. Let the ginger BE your water in this syrup and just add sugar to it and shake to dissolve. Let the soda reduce the strength, and add your lime fresh each time. I was just looking for ginger syrup made from raw and fresh ginger juice and found yours. Thank you so much for this. I have couple of questions though... What would be the life of the ginger syrup made from Juice and can this syrup be heated ? I have found that this syrup will last surprisingly long. We are talking months, not weeks. Because it's a cold process, you want to make sure the bottle you store it in is sanitized first. I store mine in the refrigerator and I almost always add a bit of neutral spirits to the top which helps preserve it. This assumes you are referring to spoilage and not flavor. Ginger syrup made with juice this way retains its flavor intensity a LOT longer than a hot process. In other words, cooking the ginger in a syrup for hours to extract the flavor will result in a ginger syrup that's fine for a few weeks, but then you notice the burn starting to disappear. I don't have that problem using fresh ginger juice. As far as heating the syrup, I have used it in stir fry dishes without issue, so yeah, it can be heated. Are you wanting to heat it to help preserve it? That's not necessary. In fact, heating it will invert the sugar and you loose the stability and flavor that a cold process brings. Just keep everything very clean and it can last a long time. THANK YOU for the recipes! I made ginger juice using my magic bullet blender, then squeezing the pulp out with cheese cloth. 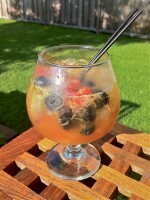 Then I made your Dark and Stormy with the syrup, and it was the best! I'm very happy and will be buying lots of ginger in the near future to make more. It is fantastic, isn't it? I have found that the 2:1 sugar content to seems the high mark for both sweetness and ginger heat. You don't need much to balance a cocktail from the sugar perspective, and that helps keep the heat under control since the quantity added can remain low. As John commented above, it can be pretty powerful. And yet, I enjoy the heat so I often just make it 1.5:1. Less sugar allows me to use more in a recipe and really push that ginger flavor. Ginger bacon sounds like a great idea! Last night my friend told me that she can no longer order Dark and Stormys at bars because she knows they just won't compare to the ones I now make, thanks to your recipe! I would tend to agree with her. Thanks again! I have to admit, at the risk of self-promotion, that everyone in my house tends to feel the same way! I appreciate your comments. I guess the next question is what's next on your list? It just so happens that this week a SECOND person also commented that one of "my" drinks made them never want to order it again at a bar because it probably wouldn't be as good there. I made Jeffrey Morgenthaler's amaretto sour. I was hesitant to post this on your site, promoting someone else, but when I double checked to see what your sour recipe was I saw you'd posted the exact same one, citing Morgenthaler! Maybe you can make a list of "Homemade Cocktails So Good You'll Never Order Them Out Again." Hi, can you suggest a good substitute for the sugar? would high quality honey work? Theoretically, you could make this with any sweetener. Honey would be interesting. This past weekend I had a locally brewed "session" style mead with ginger that was quite tastey, so I think the favors would work together. Agave nectar is another option, although the actual sugars in agave nectar are questionable. I'd be curious how it turns out. I recently made Ginger Beer Syrup (Video Here)and I can't believe that it could be any easier, but this post has me curious. Well, I guess you're recipe is next up in the queue. Bill, first of all, great video! I especially like the idea of adding lemon zest to the syrup. I think that could do wonders. If you haven't tried the cold method, I definitely think you should check it out. Have you noticed the heat dissipating from your syrup after a few weeks? I used to, and found that it doesn't do that with the cold process. Once you get past the challenge of making ginger juice which isn't really that tough if you have a blenders or a food processor, I think you will stop using the stove. I am thinking of also adding lemon peel next time I shake a cocktail. I think that would squeeze out a bit of the oil and approximate the effect you are getting. Anyway, thanks for posting a comment and the link to your site. It's great to share ideas--everyone benefits! Btw, I bought .5kg or so of fresh ginger from the market, cut into chunks and simply used my hand lemon/lime juicer to squeeze out the juice. Phil, that's s great idea. I don't think I've heard of anyone doing that before. Hey, if it works, right? I know it works with pomegranates instead of picking all of the arils out. Shortcuts like this are always welcome! Thanks for sharing it. Hi Randy, I'm having a hard time getting the sugar to dissolve into the ginger juice. Did you heat the juice to get it to dissolve? I used 1 cup of ginger juice and 2 cups of sugar and it just settles in the bottom of the jar I used no matter how much I shake it. Chris, at 2:1 ratio it can take time for sugar to dissolve using a cold process but it should still dissolve. You shouldnt be at the saturation point yet. A couple of days is not unusual. I will sometimes use less sugar in mine, say a 1.5:1 ratio. Also, superfine grain dissolves much better than sugar in the raw which tends to be very coarse. You could try blending your syrup to get the grains to break up. That may add air bubbles though, so you end up waiting for that. Another thought is this: starch. I find that fresh ginger juice has a noticeable starch content that settles to the bottom as a white "sludge". Is it possible you have a layer of starch, not sugar? After a week or more you can pour off the syrup and leave this behind but it doesn't really hurt anything. I might suggest just using it as-is. What sugar isn't dissolved will settle and keep the solution saturated. It may also dissolve in time, and the syrup is perfectly usable while that happens. I definitely would avoid heating it. The point of this cold process is to simplify the task and to preserve the intensity--something that seems to dissipate in recipes I have tried that rely on heating the ingredients. Great way to use ginger juice to make the syrup. This is definitely the way to go if you want ginger beer and not the ginger syrup in many cocktail recipes. Ginger syrup us sweeter and less spicy and won't overpower a cocktail. It is a flavored simple syrup and is meant to provide balance, not lots of ginger heat. 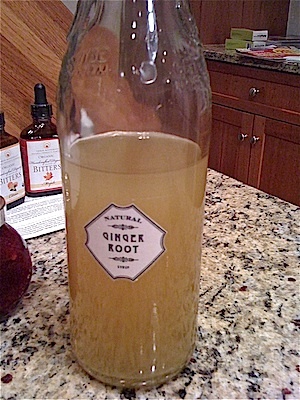 Ginger Beer syrup, like this one made with the juice, is what you want for a Moscow Mule or a Dark & Stormy. Also, you mention superfine sugar, which will dissolve easier. You can use a food processor to turn regular granulated into superfine. Make sure the machine is very dry or you will get clumps and a mess. You can also make superfine turbinado, demerara, or raw sugar to add another layer of depth to the syrup. American brown sugar for baking has molasses in it so I wouldn't go there unless I absolutely wanted that flavor to be a big part of the result. Well said, Pete. We couldn't agree more!